Research collated by Age UK indicates that the average cost of residential care varies drastically depending on where in the UK you live, creating a postcode lottery for vulnerable people in need of care. In 2016/7, the divide between counties in the North and South of England was as much as £230 a week in some cases. 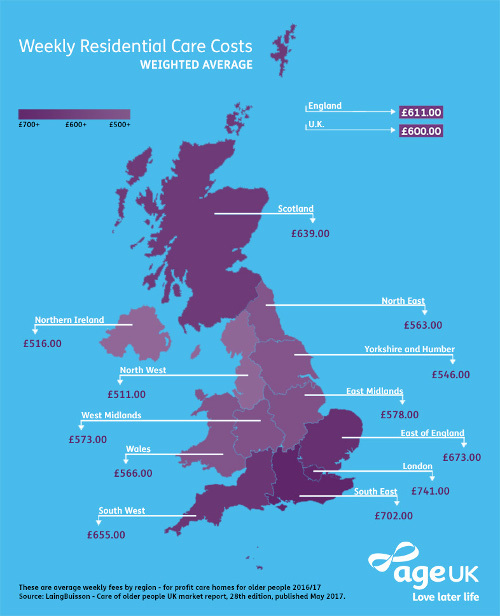 Perhaps unsurprisingly, London was found to be the most expensive region to obtain residential care, at a weighted average of £741 a week, whereas the North West was the least expensive at £511. Funding support may be available from your local council if you need help paying for your care. This entry was posted in Financial & Poverty Avoidance Advice on September 5, 2018 by calderdaleforum50plus. New from Age UK, this is a great set of tips, by personal finance expert John Husband, on making the most of your savings. To make sure you save regularly, set up a monthly payment into a savings account. Also, whenever you get a pay or pension increase, increase the amount you save – this makes saving near painless. Your first priority should be to build up a ‘rainy day’ reserve for emergencies. Ideally aim for 3 months’ income in accounts you can draw on immediately. If you’re a taxpayer, you can use Individual Savings Accounts – ISAs – to put your money beyond reach. You can put up to £20,000 into a cash ISA this tax year – and your partner can do the same. An ideal home for that rainy day reserve. Now for the detective work. Better rates are offered on accounts operated on the internet or by phone only. If you’re not comfortable with that weed those out. Few accounts pay rates that match, let alone beat, inflation. You’ll need to shop around for savings accounts with good interest rates. Otherwise the only sure way to protect yourself is to invest in real assets, such as buying your home – if you can afford to. This entry was posted in Financial & Poverty Avoidance Advice on August 21, 2018 by calderdaleforum50plus. A charity formed over 150 years ago, Independent Age is dedicated to helping older people. Thye now have a really well-written and informative web-site which is always worth a visit for advice and information. I need to find a care home – where do I start? 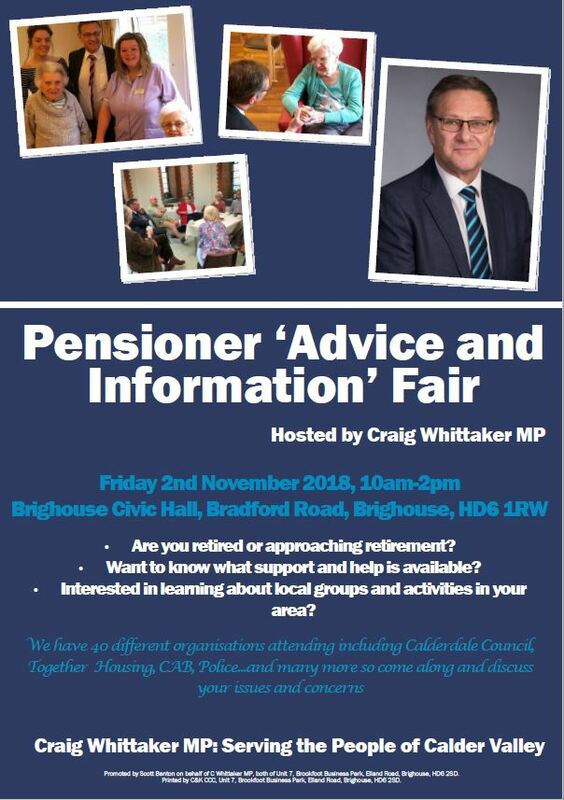 This entry was posted in Facilities and Support, Financial & Poverty Avoidance Advice, Health & Wellbeing on June 11, 2018 by calderdaleforum50plus.